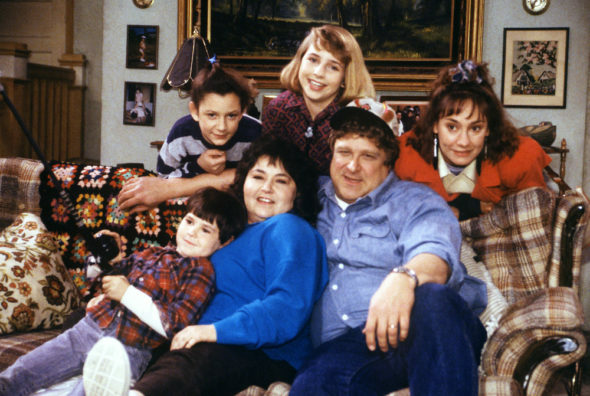 Ahead of the Roseanne TV show revival, Deadline reports ABC Entertainment president Channing Dungey has confirmed that the death of Dan Conner (John Goodman) will be ignored in the tenth season. She also revealed that talks are underway to bring Johnny Galecki back as David Healy. As previously reported, Roseanne, season 10, will also feature Roseanne Barr as Roseanne; Sara Gilbert as Darlene; Laurie Metcalf as Jackie; Michael Fishman as D.J. ; and Lecy Goranson as Becky. Scrubs‘ Sarah Chalke, who played the second version of Becky, will also appear in an undisclosed role in the ABC sitcom. Roseanne Barr – the show’s namesake – is on board, Dungey said. “What we’ve heard from Roseanne is she’s very excited about the show and she is going to be on the show,” she said. Roseanne, season 10, is slated to begin shooting in October of this year. What do you think? Are you looking forward to the Roseanne TV series revival? Do you plan to check it out, when it premieres on ABC? Last Man Standing was supposedly cancelled because it was too expensive. How much do they expect to pay this cast? That great show and cast got the shaft when it was cancelled. Something really stinks with this decision. So even though I liked the first Roseanne, I probably won’t be watching be sure I try to boycott AND to the decision to axe Last Man Standing. Sorry ABC but you’ve got it coming.